All’s fair in love and war when specialist Jane Larson and Captain Barnaby Blackstone give into their lust for each other while stationed in Vietnam. As the world disintegrates around them, their one night of passion ends with her evacuation back to stateside duty. Years later, Jane is neck deep in an undercover DEA operation gone horribly wrong. Kidnapped and then committed to an asylum, she has no hope of escape from the clutches of a notorious cult leader. The only thing that sustains her through the pain is her memories of Barnaby—even as she knows she’ll never be with him again. Little does she realize that Barnaby has spent several of his years as an immortal, Indebted killer yearning for the fierce and beautiful woman who had unlocked hope in his cold, hard soul. When his sixth sense leads him to her hospital room, he sets her free, but in the process attracts the attention of an otherworldly maniac intent on revenge. To save Jane from the dark forces surrounding her, Barnaby must reveal his deepest secret. Can she live with the man he’s destined to be, or will the truth leave her lost to him forever? World War II veteran Peter Blackstone traded his soul so that his wife could live. That was 1945. Since then, Peter has lived an unnaturally long life as a hired killer, providing the life forces upon which Jerahmeel feeds to survive. Doctor Allison La Croix has a big problem. She randomly sees people’s deaths. She has longed to be free of her twisted “gift” to live a normal life without fear of predicting yet another loved one’s demise. After a horrific accident, a severely injured Peter arrives in Allison’s ER. The vision Allison experiences when she touches him nearly kills her. He teaches her to block these devastating episodes as she finds a way to unlock his forgotten, passionate soul. But Jerahmeel’s minion has orders to destroy Peter and anyone he loves. Will Peter’s and Allison’s shattered souls survive the devious plan? Or could their love save them both? Someone will have hell to pay. Immortal. Colossal. Suave. Indebted killer Dante Blackstone has the world at his feet. 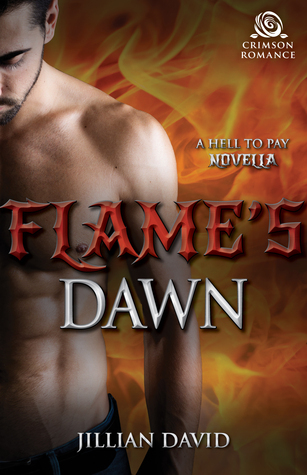 Every vice, any desire, is his for the asking—until he finds the one person he cannot have: one sweet, diminutive woman who could bring about Dante’s destruction. Despite her supernatural ability to heal others, a devastating act of evil has left Hannah Miller broken in body and spirit. As she rebuilds her life while on the lam, a not-so-chance meeting with Dante chips away at the walls surrounding her fragile heart. But before their fledgling love can take flight, Dante’s boss sends an evil minion with one mandate: Eliminate Dante’s new reason to break his eternal contract. As they fight to survive, Hannah’s amazing gift gives Dante one chance to save them both from the vicious minion. How can any love survive eternal hell and annihilation? The answer lies in Dante’s inferno. When Civil War nurse Ruth Blackstone sacrificed her soul to save her husband’s life, he utterly betrayed her trust. Now, 150 years later, she’s still stuck killing depraved souls to feed her devil of a boss, Jerahmeel. She’s never been one for hair-brained schemes or sweet-talking flirts. That is, until she meets Cajun rogue Odie Pierre-Noir. Odie has the research and the war plan to overthrow Jerahmeel and win freedom for all Indebteds. There’s just one hitch: he needs Ruth to act as bait. 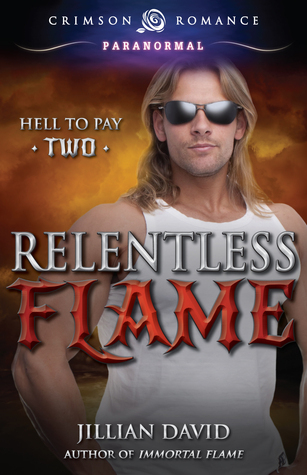 With charm on his side, he shows Ruth an intense passion she’s never experienced before. Now Ruth must make the hardest decision of her long, damned life: continue in relative safety as an Indebted with Odie as her lover, or risk their eternal souls for one chance to break the curse. Will she choose the lesser evil? 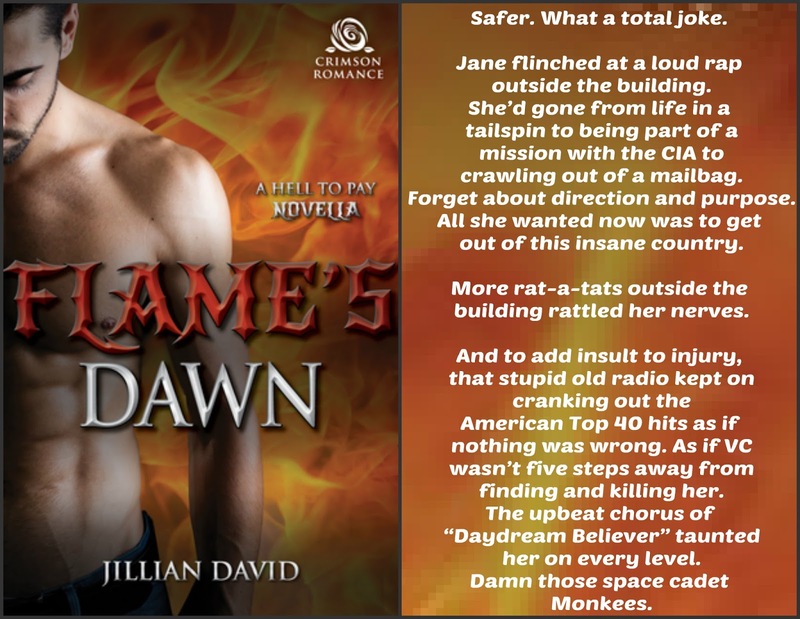 Jillian David lives near the end of the Earth with her nut of a husband and two bossy cats. To escape the sometimes-stressful world of the rural physician, she writes while on call and in her free time. 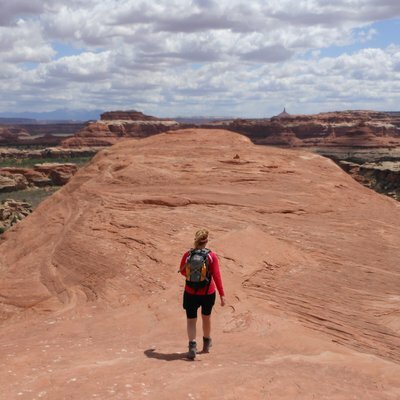 She enjoys taking realistic settings and adding a twist of “what if.” Running or hiking on local trails often promotes plot development. 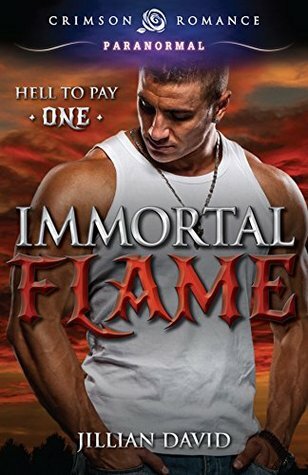 I have to say IMMORTAL FLAME.